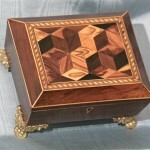 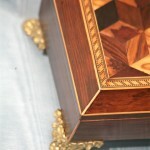 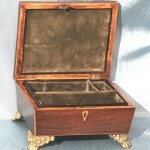 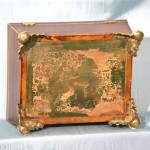 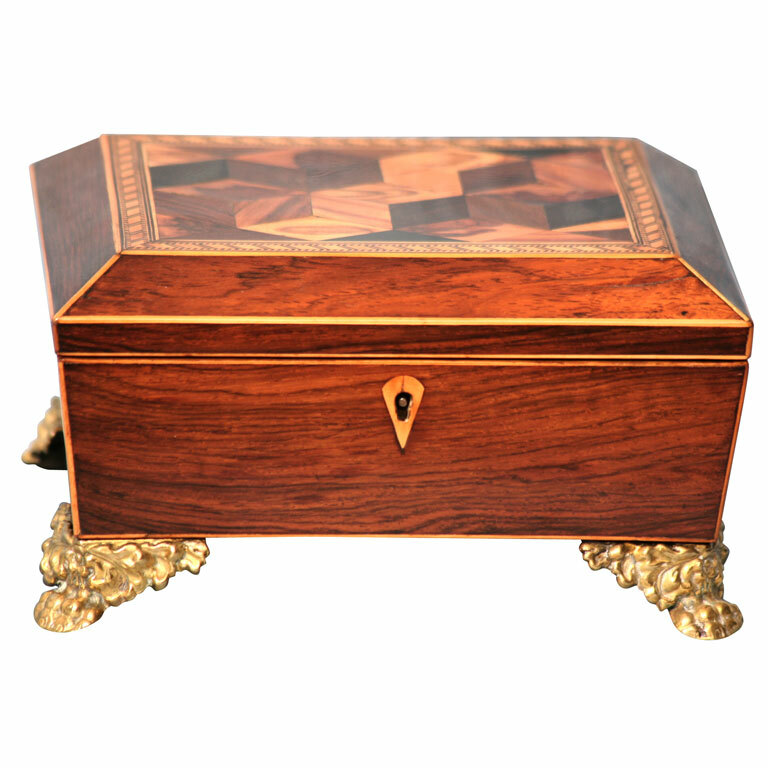 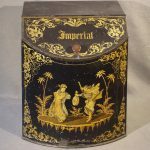 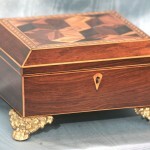 A Regency period parquetry inlaid Brazilian Rosewood box on embossed brass paw feet. 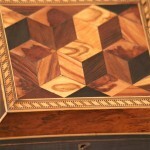 There is a compartment-ed / lift out tray. 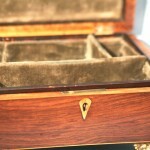 Interior lined with old velvet.